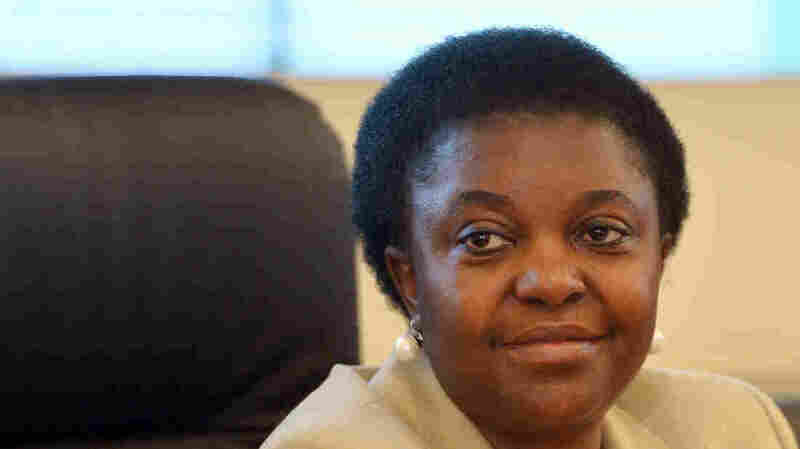 Cecile Kyenge's appointment in April as integration minister was hailed as a landmark for diversity in Italy. But since then, she's been the target of death threats and vicious racial slurs. When Cecile Kyenge became the first black government minister in Italian history, the appointment was hailed as a landmark for diversity. But since Kyenge became integration minister, she has been the target of death threats and vicious racial slurs. The debate highlights growing intolerance and what Prime Minister Enrico Letta has called a shameful chapter for Italy. When he presented his Cabinet, Letta described Kyenge as a bridge between diverse communities. The 49-year-old ophthalmologist, long an activist in local politics for immigrant rights, was elected to Parliament on the Democratic Party slate. In a campaign ad, she said her dream is that "Italy will become a cosmopolitan country." But after her appointment to the Cabinet, the mood of racial progress was quickly replaced by insults directed against her from xenophobic and ultra-right-wing parties. The crescendo started with a senior official of the anti-immigrant Northern League who accused her of trying to impose tribal traditions on Italian society. Then, a female Northern League councilor posted a photo of Kyenge on Facebook and called for her to be raped "so that she could understand what victims feel." Last month, another Northern League lawmaker, who is also vice president of the Italian Senate, sparked further outrage when he said he loves animals: "Tigers, bears, monkeys, all of them, but when I see pictures of Kyenge I cannot but think of the features of an orangutan." The latest incident was at a political rally when an unidentified spectator threw bananas at the stage while Kyenge was making a speech. She responded with characteristic aplomb and understatement, calling it sad and a waste of food, considering the economic crisis. Kyenge remembers that when she first arrived in Italy as a medical student 30 years ago, racist sentiments were directed mostly by northerners against southern Italians. But in the past 15 years, Italy has absorbed large numbers of migrants — they are now some 8 percent of the total population. Italians, Kyenge says, were not prepared. "There has been a failure of education. Italians were not helped in learning about others, people with different skin color and facial characteristics," she says. "Migrants are not seen as diversity that can enrich but diversity which instills fear." Kyenge arrived in Italy from Congo on a student visa, paid for her university studies by working as a caregiver and now practices ophthalmology in Modena, where she lives with her Italian-born husband and two teenage daughters. She's preparing a bill that would automatically give Italian citizenship to children born here of resident immigrant parents. While this is the law in many countries, Italy still has one of the most restrictive citizenship laws in the West — and there are at least half a million children born in Italy of non-Italian parents who are not guaranteed health coverage. Italy has seen a rising wave of intolerance that has led to a sharp rise in the number of racist and discriminatory incidents in the past year. Some of the worst incidents have occurred on the soccer field, where black players are taunted with racist epithets and rowdy spectators throw bananas at them. Mario Balotelli, the Italian-born son of Ghanaian parents and a star player, is often the target of the chant: "There's no such thing as a black Italian." The economic crisis and rising unemployment are exacerbating racial tensions. But Kyenge is an optimist and fond of the Italian society that welcomed her and gave her so many opportunities. "I'm proud to be Italian," she says, "and it's time to make the other voice of Italy heard, the better Italy." Kyenge is well aware that Italy, with its aging population and one of the lowest birth rates in the world, sorely needs new immigrants.